in San Antonio on April 12th, 2019! The team finished with 9 out of 12 programs finished! at UT Austin on May 3rd, 2019. Congrats! They are going to the San Antonio Regional! 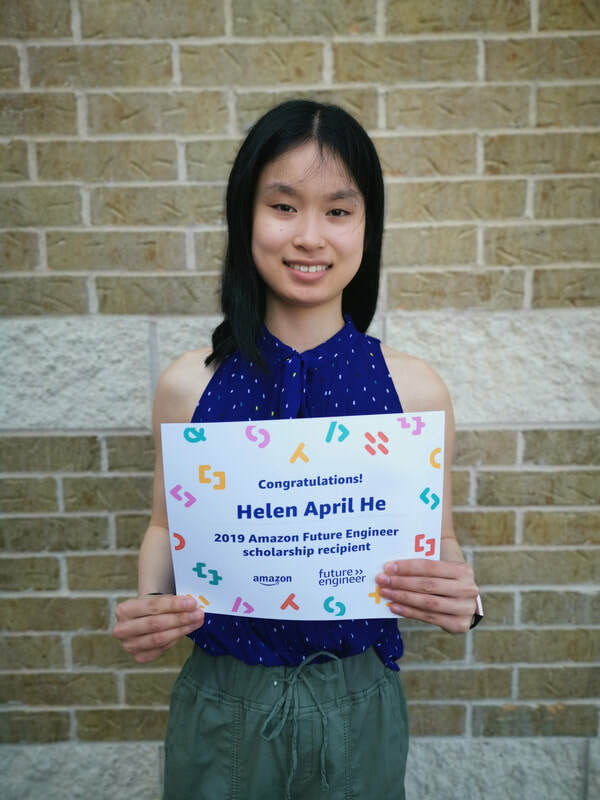 100 winners of the Amazon Future Engineer scholarships! Westlake Team competes in outer space ! Literally ! First Place - Vaishnavi Addala! 1st Place - Vaishnavi Addala! My name is Mr. Lynn Rosier. Welcome to my website for Computer Science. I am available for help in the mornings from 8:00am - 8:40am. in room 290A. All Computer Science courses at WHS have a $21 Lab fee. This is my 35th year of teaching and my 29th year of teaching Computer Science. I was born and raised in Michigan and I received a Math degree from Michigan State University. I later received my Computer Science degree from The University of Texas at Dallas. I have also worked at Texas Instruments and SchoolsOPEN. My wife, Kelly, is also a teacher here at Westlake High School (Chemistry). My daughter, Shannon, is a graduate of Westlake High School (starting her third year and is now at Texas State). I am available for help from 8:00am - 8:40am M-F.
Congrats to our 1st place team of Joseph Jin, Eli Bradley, and Alex Meyer. 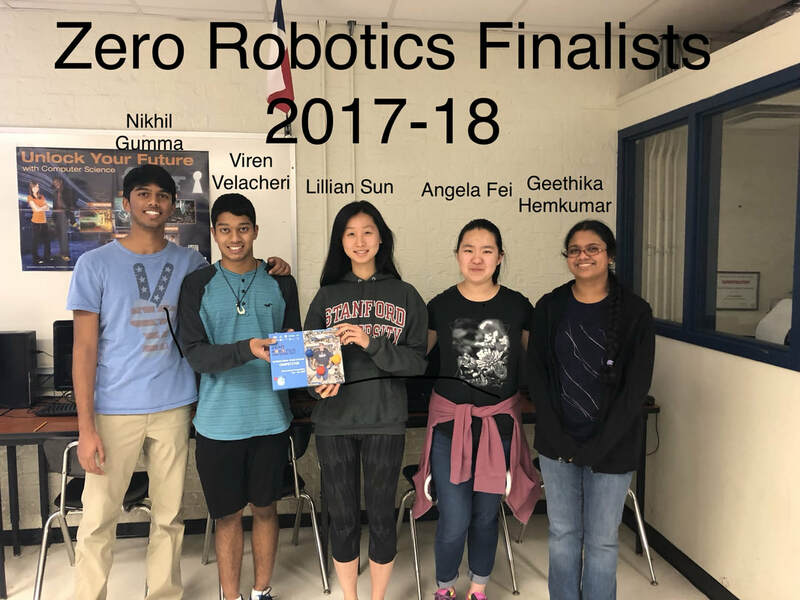 Congrats to our 2nd place team of Vaishnavi Addala, Olympia Walker, and Steven Xu. Congrats to our 1st place Individual winner Vaishnavi Addala. Congrats to our 3rd place Individual winner Joseph Jin. for 2nd place out of 24 advanced teams! JCreator, Dr. Java, or whatever. state champion and a runner up in state from last year. Friday and Saturday, April 7-8, 2017, in San Antonio. Friday and Saturday, April 7th-8th, 2017. ***** Matthew Anderson at HP CodeWars. ***** 4th Place/59 teams from all around Texas. ***** Congrats! Owen Graves got 5th. 84 kids total. ​***** The team got 4th. ​UIL Contest January 14th, 2017, Saturday at Indeed. Congrats to our 1st place team at Indeed! Kevin Fang, Owen Graves, and Mathew Anderson. This is my 34th year of teaching and my 28th year of teaching Computer Science. I was born and raised in Michigan and I received a Math degree from Michigan State University. I later received my Computer Science degree from The University of Texas at Dallas. I have also worked at Texas Instruments and SchoolsOPEN. My wife, Kelly, is also a teacher here at Westlake High School (Chemistry). My daughter, Shannon, is a graduate of Westlake High School (starting her second year at ACC). 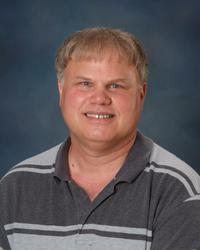 I am available for help from 8:00am - 8:35 M-F.
Don't forget your $10 Lab Fee money due Sept 1. Each student is required to pay a $10 lab fee. We do NOT have a budget. This is our budget. All of our course materials are on the student shared, as well as electronic books. Do you need more help than the slide shows, sample programs, etc.? Also, you can use Dr. Java for a pc or mac. Scroll Down to the bottom for a description of the classes. The table tennis club will meet in the chap court on Friday after school. The WHS Computer Club will meet on Monday after school in Room 278. Our next meeting is Monday, September 12th at 4:15pm. Entry Fee: NONE, thanks to ARM! The Programming Contest will use PC^2 for submissions. Bring your own laptop with wireless access, surge protector, extra paper, etc. Entry Fee: NONE, thanks to Oracle! Computer Laptop fully charged with WIFI, the Java 8 Standard Edition SDK, and an IDE. Kevin Fang placed 6th at Regionals in Waco. Owen Graves got 1st place for Juniors in the Best of Texas programming contest! Kevin Fang got 3rd place for juniors in the Best of Texas contest. 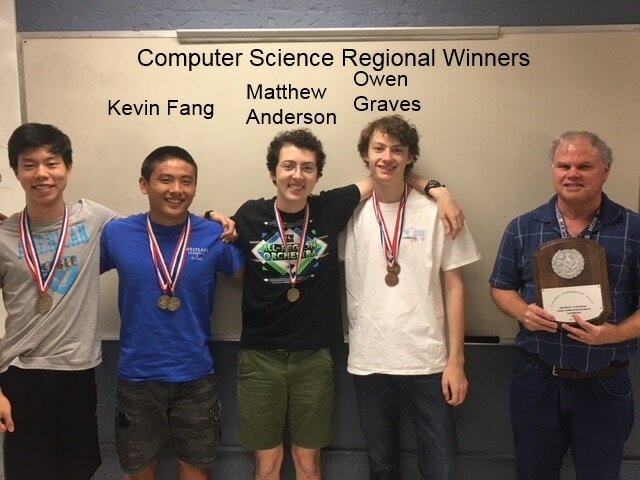 The programming team got the top team award for 6A (Owen Graves, Kevin Fang, and Ryan Zhou). 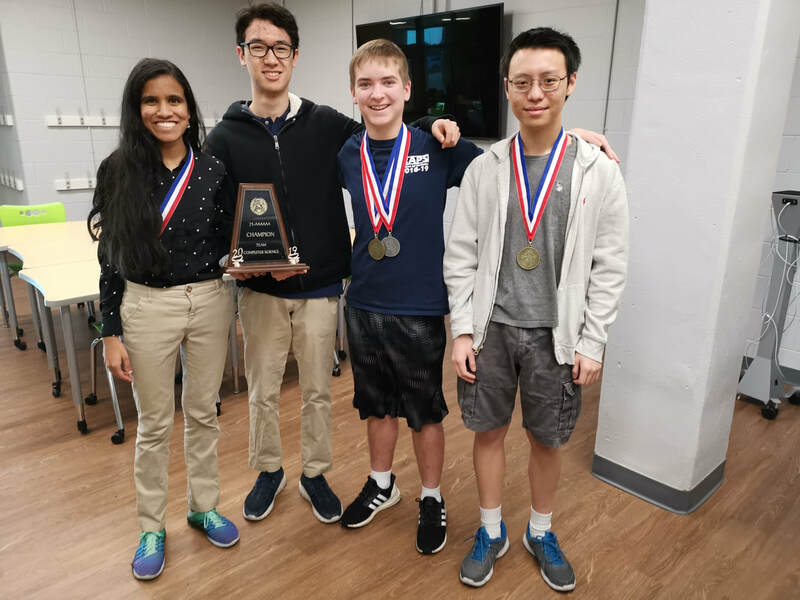 The WHS UIL Computer Science team of Kevin Fang, Ryan Zhou, Owen Graves, and Matthew Anderson won 1st place at the UIL Computer Science District contest at Westlake High School on Friday, April 1st, 2016.
they grabbed the first 3 positions in the individual contest. Kevin Fang, Owen Graves, and Matthew Anderson got 2nd place Saturday, Mar. 5th, at the HP Austin Codewars Computer Programming Contest. Ryan Zhou and Manuj Shah got 4th place! from all over the state of Texas. 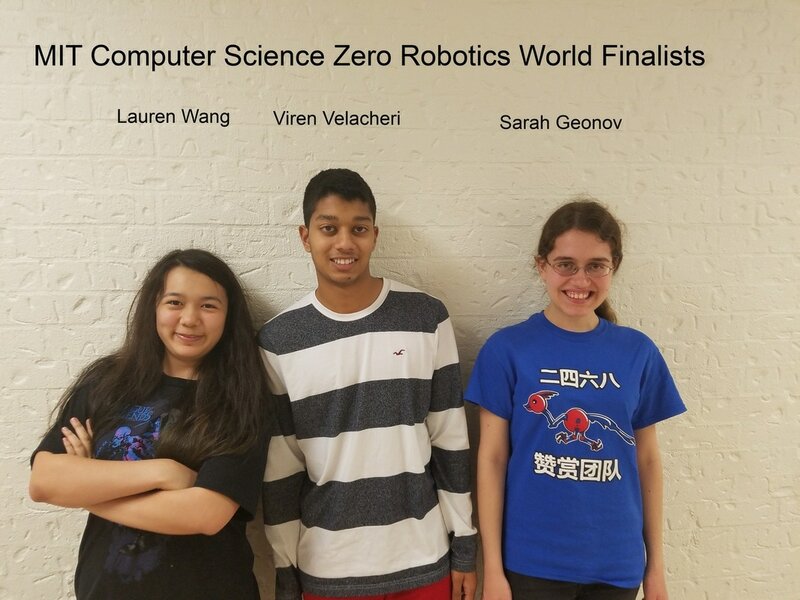 UIL Computer Science contest in the individual written contest. got 3rd place team overall in the team programming event. got 1st place team in the written event, and they got 2nd place overall in the team programming event. Wimberley UIL Contest was Saturday, Feb. 13th, 2016.
and Owen Graves took 4th place. UIL Computer Science contest on Saturday, Feb. 6th, 2016.
and Timothy Nguyen took 3rd place. moving on to regionals. Congrats! teams from around the state. Anderson, and Owen Graves got 2nd place. Congrats! The major emphasis of this course is on learning the computer language Java for the purpose of writing interactive programs for solving problems. No knowledge of programming is necessary but a working knowledge of algebra is required. Topics covered are data types, selection statements, looping, files, arrays, searching and sorting algorithms, graphics, interfaces, abstract classes, and classes. This course is designed for the student who has displayed exceptional programming talent in Computer Science I AP. The major emphasis will be on data structures, such as linked lists, stacks, queues, maps, sets, hash tables, and binary trees. This course is designed for students interested in careers in computer programming, engineering, mathematics, or science related fields. Java is the programming language that is used. An introduction to C, Objective C, iPhone apps, Google apps, and robotic applications will also be covered. This course is designed for the student who has displayed exceptional programming talent in Computer Science II AP. Students work mainly on large projects which may include graphical games, communication programs, database development in SQL, internet web applications, iPhone/iPad Apps, Android/tablet Apps, robotic apps, etc. The course is designed for students interested in careers in computer programming, engineering, mathematics, or science related fields. Java, Objective C, C, and PHP are the main programming languages used. This course is designed for the student who has displayed exceptional programming talent in Computer Science II AP and has taken Computer Science Independent Study I. Students work mainly on large projects which may include graphical games, communication programs, database development in SQL, internet web applications, iPhone/iPad Apps, Android/tablet Apps, robotic apps, etc. The course is designed for students interested in careers in computer programming, engineering, mathematics, or science related fields. Java, Objective C, C, and PHP are the main programming languages used.